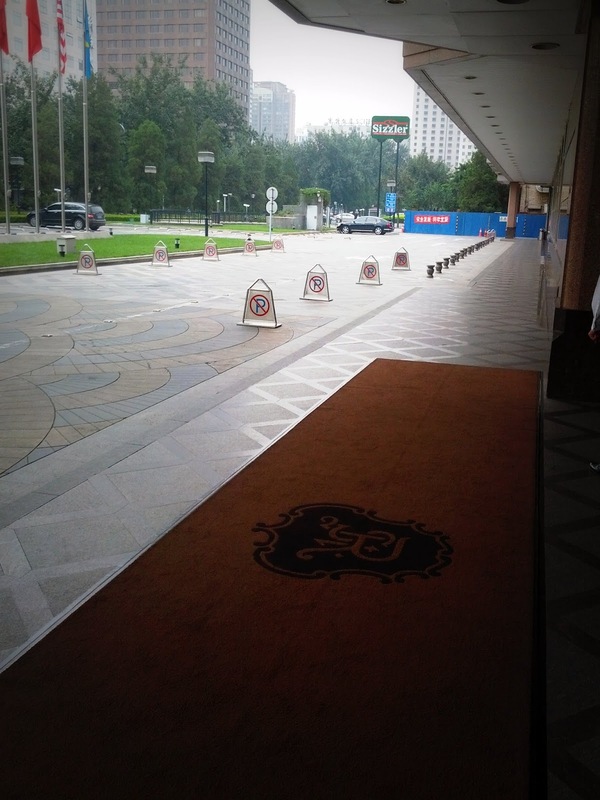 Upon arriving in Beijing, I hopped in a taxi and made my way to the St. Regis Beijing. The ride was fairly short and easy - though I did need to call the hotel, as the taxi driver couldn't read the address I'd printed out. I'd only ever stayed in one St. Regis before (the St. Regis Princeville in Hawaii), and so was excited to check out another one. 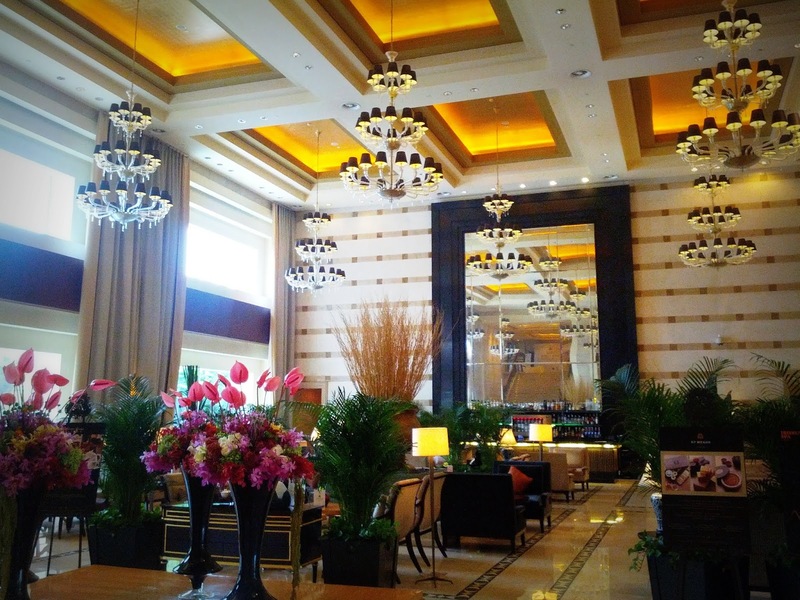 The lobby area was quite beautiful - and while I didn't check out The Garden Lounge, it looked to be a nice spot to grab a drink or a bite. 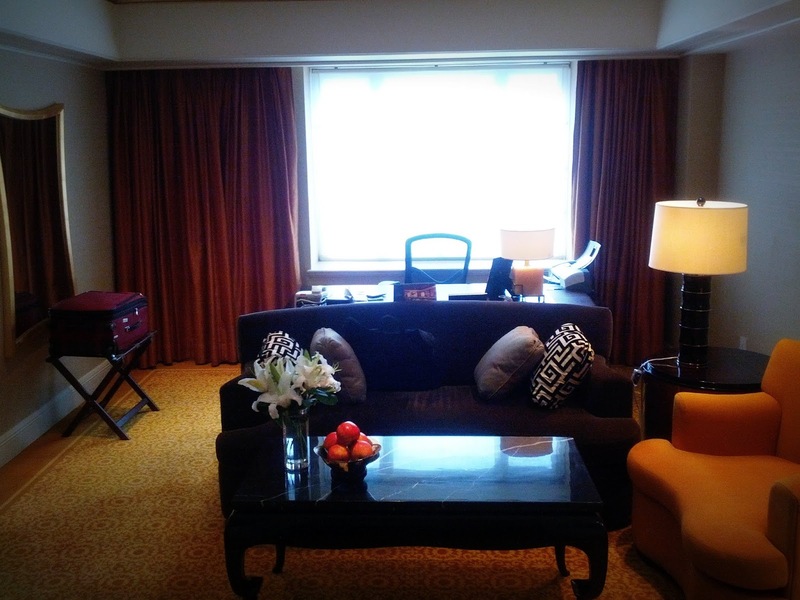 During check-in, I was happy to hear that I'd been upgraded to a "Statesman Suite" (my suite upgrade success rate has been quite good this year). 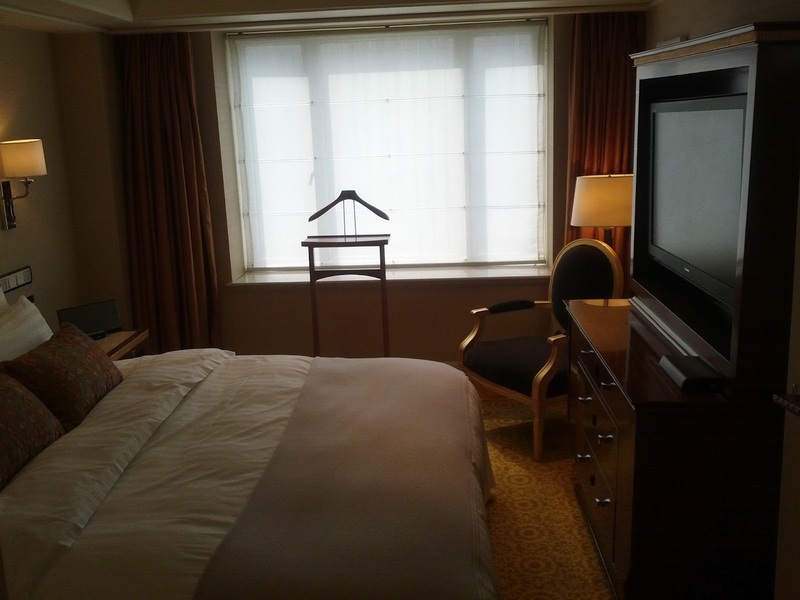 It was a very nice room - though I did find each of the individual rooms to be a bit on the small side. One of the nicest features was the TV in the bathroom. 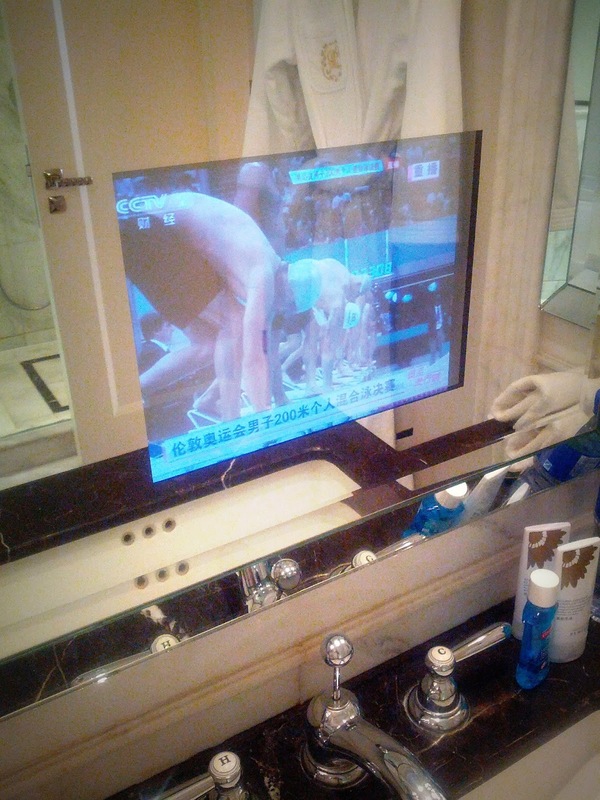 It was built into the mirror, and came with a waterproof remote control - which made for great Olympics-viewing while in the shower! 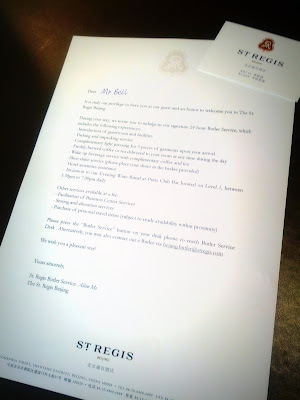 All rooms at the hotel also come with St. Regis Butler Service, and I had a letter waiting for me in the room that outlined exactly what this entailed. I didn't end up taking advantage of any of the services (admittedly, the idea of a butler makes me feel somewhat uncomfortable), but some of them certainly sounded nice! 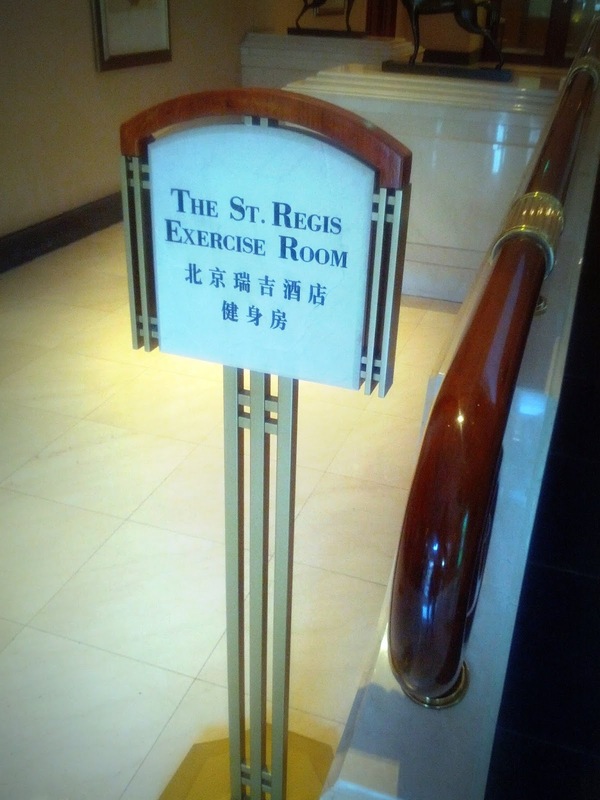 While in Beijing, I spent most of my time away from the hotel, but did find time to check out the fitness room. 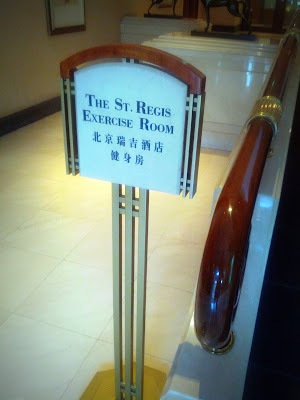 And I'm glad I did, because it was one of the nicest hotel fitness rooms I've ever seen! 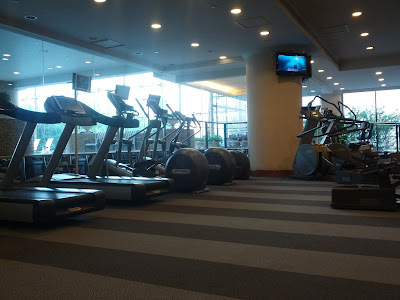 Very spacious, lots of modern equipment, and I especially liked the fact that every workout machine had a fresh towel and bottle of water waiting at all times. Overall, I really enjoyed my stay at the St. Regis Beijing. 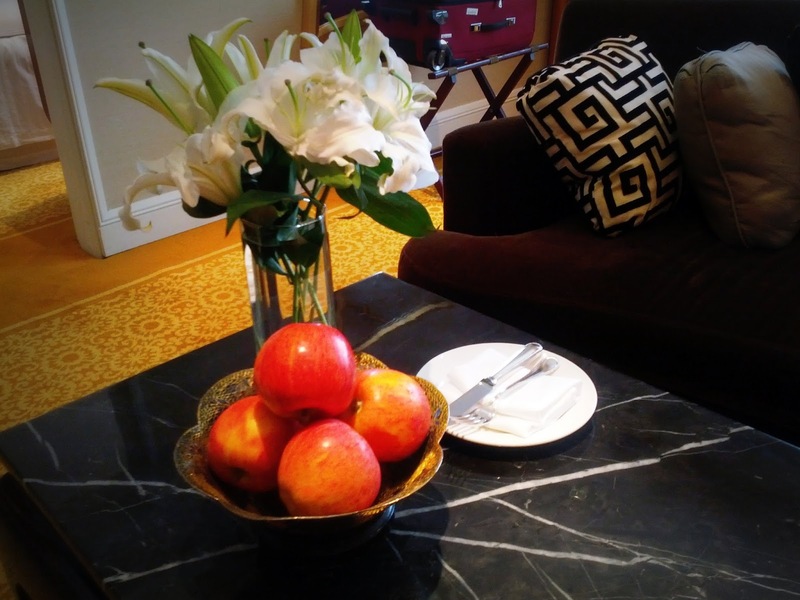 My only real complaint was the internet access - it was REALLY slow and frequently disconnected, which was a major pain when I was trying to get work done. Be sure to check out my review of the JW Marriott Beijing as well.